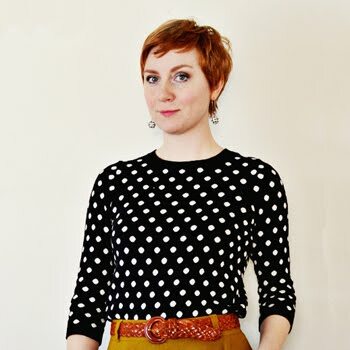 I thought it might be fun to start a new series here about what's in my sewing library. I have so many sewing books that I just love and so many interesting items that I think you might find interesting too. I hope it will broaden your sewing horizons just a little and give you some ideas for trying out new things that maybe you didn't know about before. 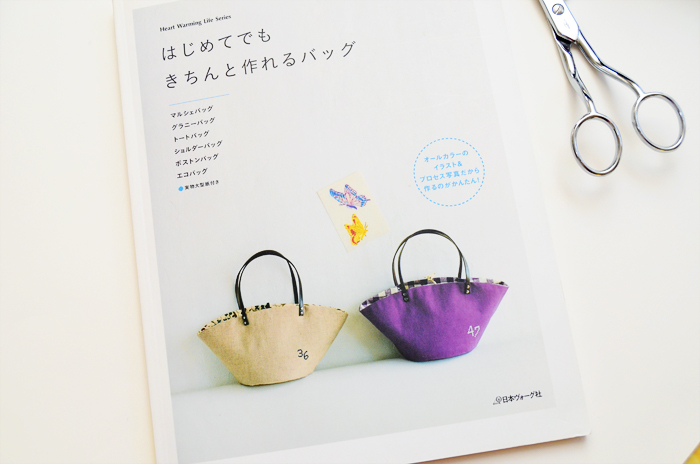 To start this series, and since I'm working on a certain someone's coat from a Japanese book, I thought I would share some Japanese craft books with you. I thought it might be more exciting to go through them one by one because these truly are luscious little books. So let's begin. 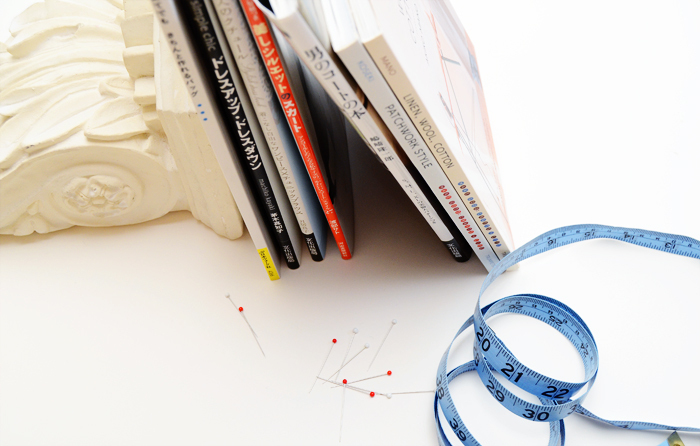 What are Japanese craft books? They are wonderful little books that contain anything from clothing to crafts to knitting and crochet photos, illustrations, instructions and patterns. The ones that I'm familiar with dedicate an entire book to one type of craft. 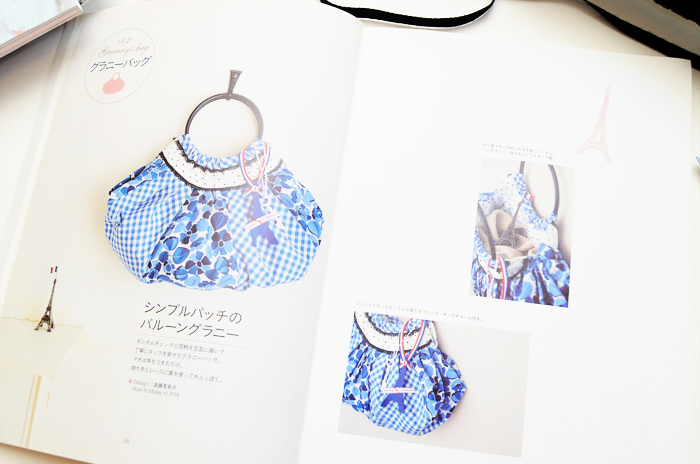 For example, with Japanese craft books that are dedicated to sewing clothing all the photos in the book will be of something you can make. The instructions are usually located at the back of the book along with line drawings and the patterns are just like the patterns in a BurdaStyle magazine - they are all nested on top of each other on one big page meaning that you have to trace them off and usually add seam allowances in order to use them. 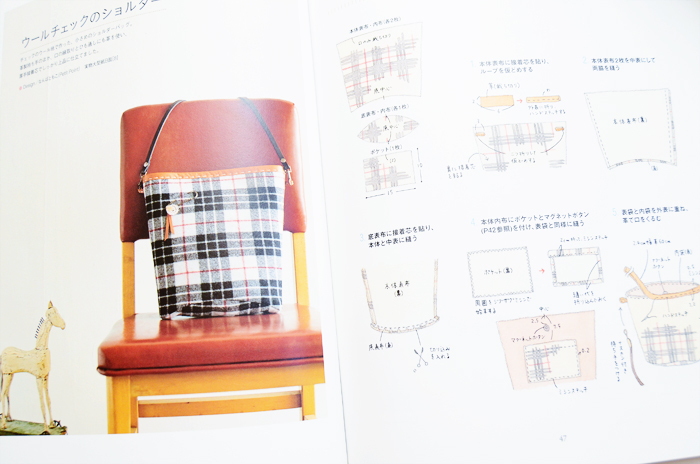 There's usually something like 20 patterns in each book and all of the instructions are in japanese. For those of us that don't speak japanese though, the illustrations are magnificent. Very clear and very easy to follow for someone who is well acquainted with sewing. I think one of the most interesting parts about these books is that the book is also dedicated to a certain style of clothing. I have a book on skirts, one on women's clothing, one on men's coats (same one that I'm using for my hub's coat), etc. 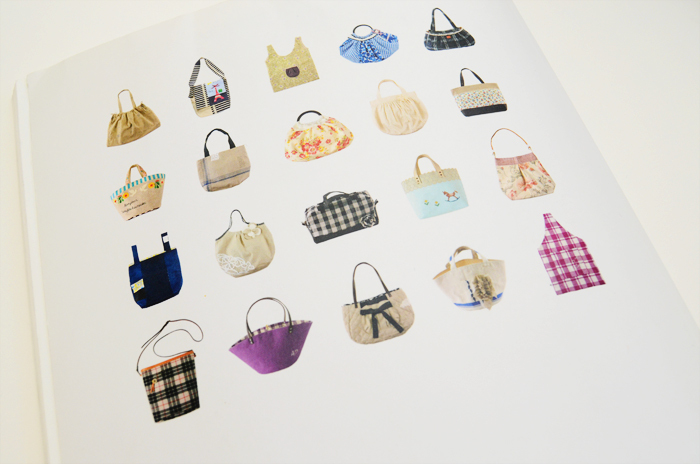 Today I wanted to share my book on handbags. 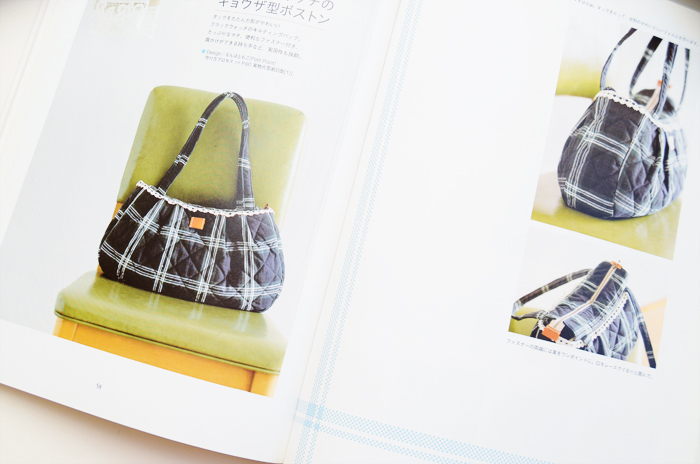 I never even make handbags, but when I first picked up this particular pattern book, the bags just made my mouth water. Sometimes I get really itchy for a crafty like project and these types of books are wonderful to turn to for that. 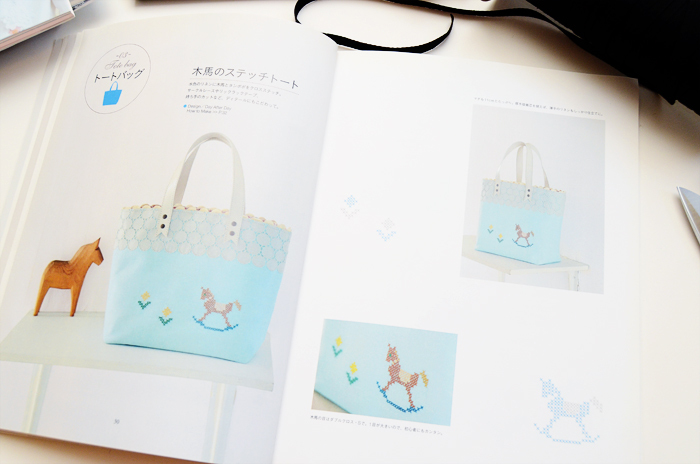 I love how the Japanese can take something like a handbag and make it look so elegant and refreshing. Aren't these just wonderful? I also wanted to give you my favorite resource for getting these pattern books. This Etsy shop here is marvelous and they provide excellent service and they always have great stock on a lot of these books. Go have a gander and enjoy yourself! Books that are about sewing are my favorite kind of books :) I look forward to reading the rest of your series! Recently I have been collecting different sewing books, mainly because I got an interest in patchwork which I now find fascinating. However among all my books I do not have the answer to a project dear to my heart ..... I bought a kimona years ago in Japan and I'd love to make a "wow" dress from it. So no book so I have done nothing, please help. I don't have any of these books, but they are so darned cute, I think I am going to start collecting! Thank you for sharing!! 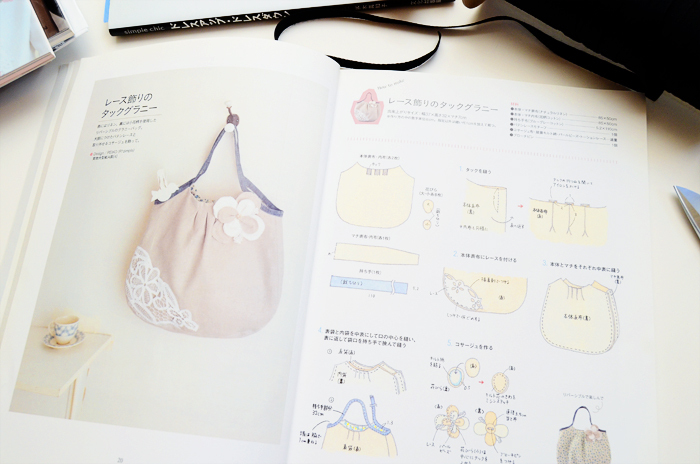 i keep seeing these japanese sewing books referenced to and i have to say i'm quite intrigued! thanks for the peek into this one, it looks amazing! 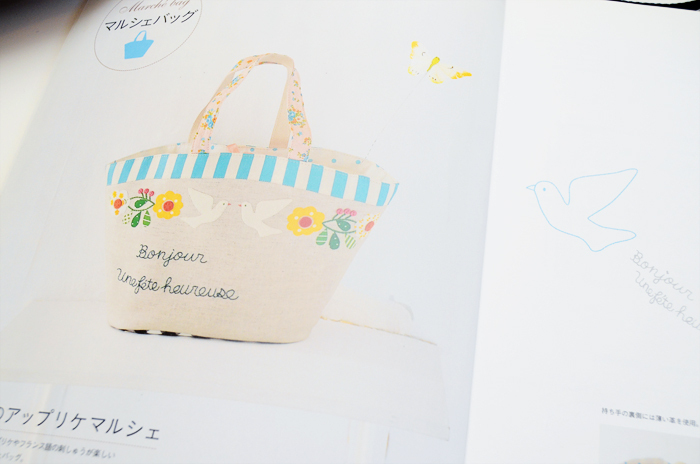 I've just recently bought my first Japanese knitting and crochet book from that same Etsy seller. I had a list of about a dozen I wanted, but was very restrained and only picked one! Now I need to figure out the strange way they show their decreases etc on the pattern diagrams. Thanks for this - I like the look of this one:). I have quite a few Japanese craft books - either from the same seller or from yesasia.com - they are truly inspirational. So useful! Thanks for the more in depth look into this! I'll definitely spend a bit of time browsing that etsy shop. . . There's two pretty well known Japanese books on refashioning kimonos, both here along with a host of others. I have this one and would totally recommend it (haven't made anything from it yet-the dresses are totally not my style XD. You can also pick 'em up on amazon.co.jp or yesasia.com (I wouldn't recommend the latter because it's slow as all **** and they have been known to sell used books as new-I experienced this myself). Best of luck. Thanks for the info it gives me hope that i will someday get around to tackling this kimona. For those of you living in or visting the New York, Kinokuniya is a Japanese book store that also has a great selection of Japanese sewing and craft books. The store is right next to Bryant Park, on 6th ave and maybe 41st st. Japanese sewing and craft books are on the bottom floor, and there are some English language books on the main level. 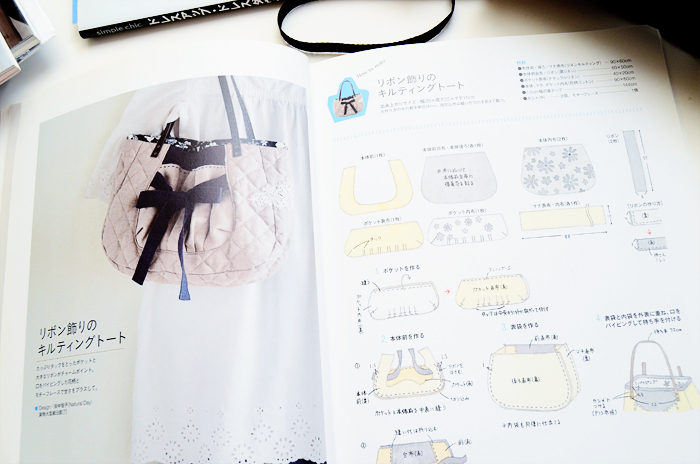 You're absolutely right - Japanese sewing/craft books are great additions to have in a library. Drape Drape (both books) are just one example. I continuously go back and look/read that book!